Just like you wouldn't wear black shoes with a brown belt, creating a good #shelfie has rules too. Figure out what color you want as your base; black, beige, white, or grey are great neutrals to start with. Then determine what your "pop" will be. Choose two to three, any more than that and you are braver than me! Once the colors are determined, keep them in mind when selecting objects. It's important to have majority with the base color and throw in the other colored objects evenly throughout. 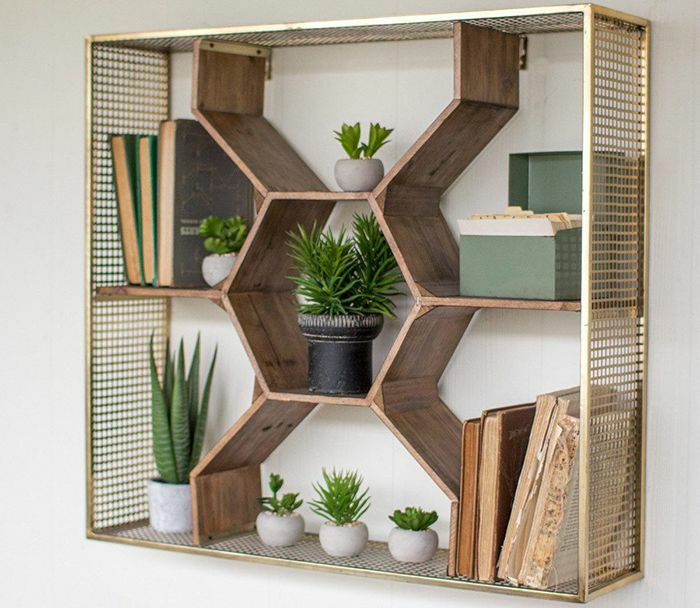 This brass and honeycomb shelf has a great color story with natural hues of grey, green, and brown. What is the vibe you want to create? Do you want a light and airy Scandinavian feel like in this shelfie? Use light colors and textures such as birch wood and spun wool. Do you want a dark and masculine feel? 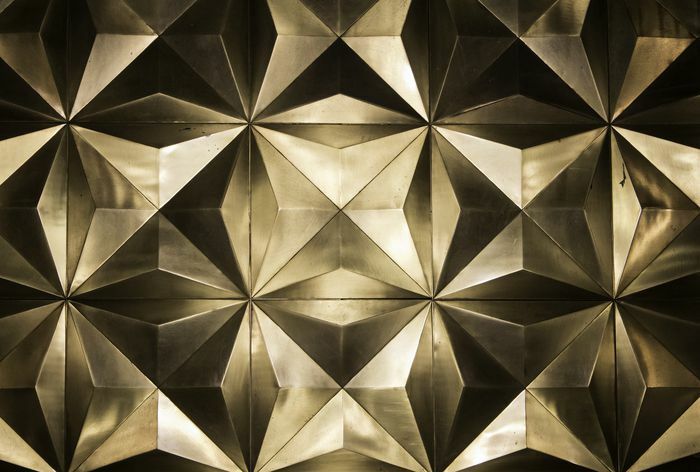 Stick to darker colors and materials like leather and steel. Think of this as your investment portfolio: "diversify, diversify, diversify." Take this bookcase shelfie for example: Filling it with all books would be underwhelming. To take your shelfie from a six to a ten, add some objects of interest. Here, sprinkled among the books are woven baskets, plants, candles, photographs, and more. If you don't know where to start, the easiest way is to add some plants. They will complement any shelfie, guaranteed. The perfect lighting is important when taking a good selfie—same goes with a shelfie! Make sure you have a nice white light (daylight is the best natural light). Avoid yellow lighting or dark photos. The only difference is that while sunlight may be harsh on selfies, they are great for shelfies. Just like not all faces are the same, not all shelfies are alike. Some look better face on, others, more dimensional. Angled shelfies are great because they accentuate dimension and textures. Also, since we typically look at things in real life face on, angled shelfies command attention since it's a unique vantage point our eyes rarely get to see. Straight on shelfies are great too! They allow us to see the bigger picture, letting us take in the color stories and mood being set. They are also a go-to if you're just a beginner. Height play is the contouring of shelfies. If every item on your shelf was the same height, your shelfie would fall flat. Check out this moody office shelfie where objects are stacked, staggered, and paired to create a visually appealing balance. Pair items together in groups and play around with the different heights so that there is a more staggered effect. Your shelfie will thank you. It can be overwhelming trying to style your shelfie all at once. The key is to take it step by step. Sort and separate your pieces. Start out with what you have the most of; typically, it's books. Next, add the second layer. That might be artwork. Continue these steps until you run out of items. Taking this approach allows you to look at everything as a whole and add items slowly and deliberately. If you start with one empty shelf, onto the next, you may run out of items or realize you used too many of one thing in a certain area. This step will save you time and a lot of headache.